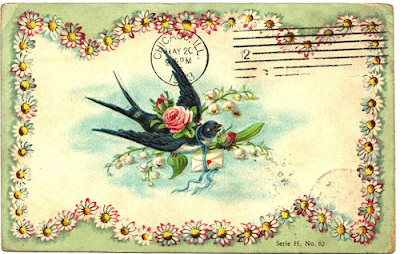 Even Sweeter Dreams: Pretty postcards exchange! Hi my friends! How is your weekend going? Hope it is a great one! I have some exciting news, as I want to start a new exchange! Last time around I held a snail mail exchange, which went really well, but I thought that for this time it would be nice to focus on pretty cards. No boring postcards, with views on buildings. But cards that are pretty enough to frame! If you want to participate, please be a follower of this blog. Leave me your emailadress in a comment. We exchange homeadresses through email and then the fun starts. So want to receive a pretty card? Join me! But remember to send a pretty card back. I can't wait to see what you send me! I will email you today!